Let this stunning shade be your vice this season. The racy red-violet hue is a must for showing off your style as you strut your stuff along the boardwalk. 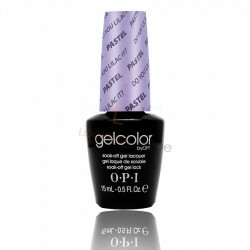 OPI have been pioneering nail trends for over 30 years to ensure you always have the perfect shade to suit your style. Each nail lacquer has a chip resistant formula, along with OPI"s exclusive ProWide™ Brush for the ultimate in easy application.